I confess, I am a true The Princess Diaries fan. I have read all 10 books, eagerly anticipated until the last one came out. And I have my hopes up very recently because news is, Meg Cabot is set to release the 11th installment, titled The Royal Wedding, to mark the 15th anniversary of the publication of The Princess Diaries Volume 1. Now, isn’t that exciting?! 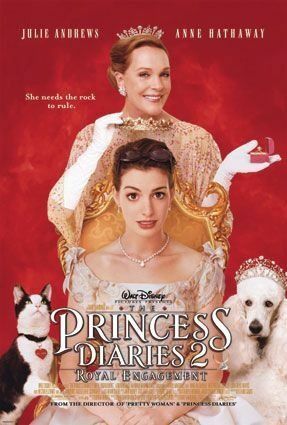 Okay, back to our movie inspiration today – The Princess Diaries 2: Royal Engagement. I love the part when Princess Mia walked down the aisle — she was a picture of a true princess bride. So, I thought it’s fitting to focus on getting today’s wedding inspiration from that one picturesque scene. 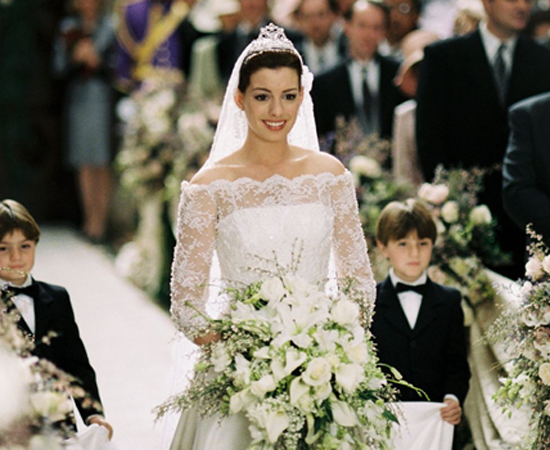 If you want your wedding to be highly elegant and royalty-worthy, but do not want it to look too overwhelming and overly ostentatious, you may want to go for the The Princess Diaries inspired wedding theme. Think of a grand entrance in your ceremony venue like this lush arch of greens and white flowers. The bride is regal in her off-shoulder lace wedding gown like this one from Monique Lhuillier, her bridal bouquet a lovely bunch of cascading white florals, and her ensemble is completed with that sparkly crown on her head. I love that bridal crowns and tiaras are fast becoming a trend in this year’s wedding scene. 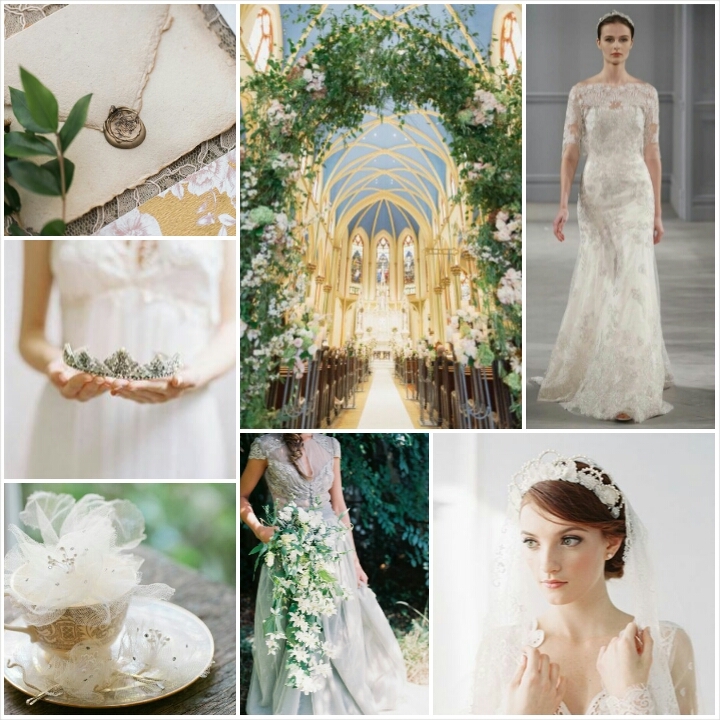 You have to check out Erica Elizabeth’s I Wish I May 2014 Collection, she has the loveliest set of delicate and romantic bridal crowns and head dresses ever. The secret to pull-off this wedding theme is to not confuse elegance with being show off. You can achieve low key elegance by keeping details in classic and sophisticated touches. Remember, the aim is to achieve tasteful not tacky. I admit it’s rare for me to like an “elegant wedding” because it is often confused with having all that overwhelming decor, but I love that this wedding theme shows us that classy and chic are not associated with “quantity”, but by knowing the key details and knowing when and where to place them.